This entry was posted in boys clothing, Mix & Match Boys Clothes and tagged boys clothing. athletic suit, boys outdoor clothing, boys sports, CR Sport, french terry, gym pants, sweats on November 3, 2011 by Suzanne R.
Here are the newest and first items by Wes and Willy for spring and summer warm weather. Purple is the newest color for boys. The paisley pirate themed swim trunks are my favorite. 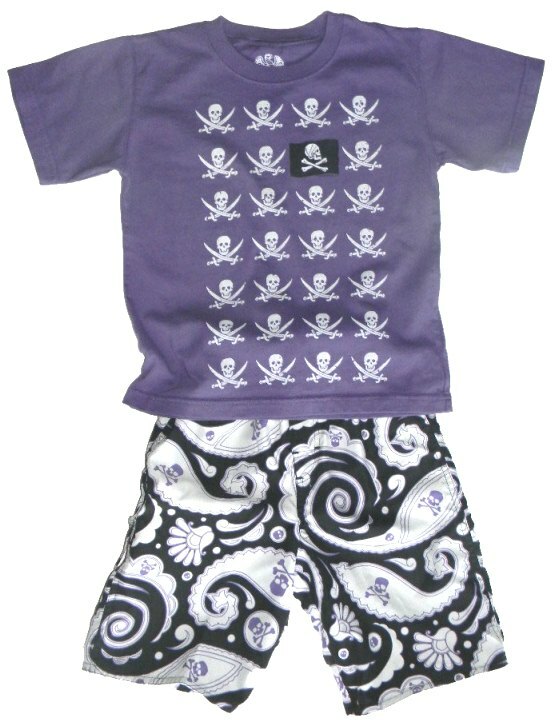 The Pirate shirt and Paisley swim trunks compliment each other just so perfectly. 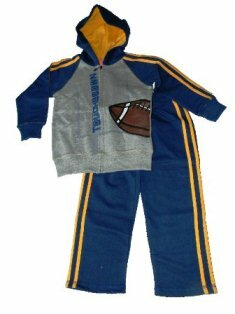 This entry was posted in boys clothing, Brand News, Mix & Match Boys Clothes and tagged boys swim trunks, Boys T-Shirts, summer clothing, Tees for boys, Wes and Willy on December 20, 2010 by Suzanne R.
Are you looking for boys clothing options to wear on Football Night? Here are just a few items you can purchase from The Boy’s Store. This entry was posted in Activities, Featured item, Mix & Match Boys Clothes and tagged Appaman, boys clothing, boys shirts, Country kids socks, Football, Mulberribush, sports, Wes and Willy on November 15, 2010 by Suzanne R.